Adam brings nearly 25+ years of business experience working with professional and corporate clients. Adam is a full service real estate professional working with both sellers and buyers. 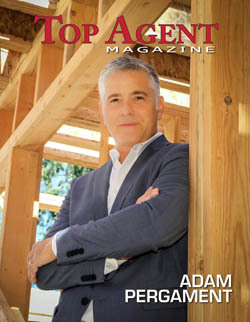 Adam has also acted as a principal in numerous transactions with experience in remodeling and construction of houses. Adam is certified as a Distressed Property Expert (CDPE) and a Negotiation Expert (CNE). In addition his background as both a business owner and professional photographer working closely and exclusively with the top real estate professionals in Hollywood, Los Angeles and Beverly Hills, Adam honed the essential skills for promoting and positioning property for sale. Adam’s experience is a vital asset in helping both buyers or property owners to quickly identify immediate and long-term real estate needs, while setting realistic and achievable goals and offering a critical eye to distinguish the subtle differences and qualities between various properties. Buoyed by the very early days of the Internet boom, Adam left his professional real estate career at Studley Commercial and founded a specialized CMS service for modeling and photo rep agencies and later launched the design and marketing studio Swiftpictures. Adam’s eye for emerging markets and niche specialties allowed him to combine his creativity with business creation. Additionally Adam has been sought out to photograph all types of real estate in California and beyond while refining and redefining the visual art of persuasion. 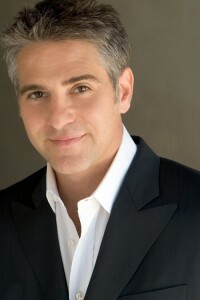 Adam’s extensive portfolio includes the homes and portraits of well known actors and musicians including, Gina Gershon, Diane Keaton, Wynona Ryder, Gwen Stefani; architects Gregory Ain, Ed Fickett, A Quincy Jones, Marmol Radziner and interior designers Kelly Wearstler, Oliver M. Furth, among others. Adam holds a BA in Economics from Columbia University and attended Loyola Law School here in Los Angeles. Adam has been involved in numerous projects and organizations focused on servicing the community and the City of Los Angeles. Adam served on the Board for the P.I.C.O. Neighborhood Council, the Steering Committee for LANI and has provided professional services to Aid for Aids, LACorps and others. Adam’s first hand experience of both residential and professional life in many distinct neighborhoods ranging from Beverly Hills, Hancock Park, Miracle Mile and Silverlake/EchoPark has provided him with a truly unique perspective and first hand knowledge of the wonderful subtleties and distinctiveness of these and many other areas within Los Angeles.